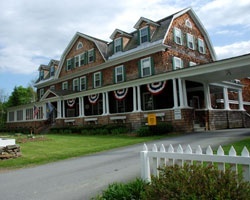 For year-round outdoor sports and gorgeous scenery, try the Crafts Inn, which was designed in 1898 by Stanford White and is now registered as a National Historic Landmark. 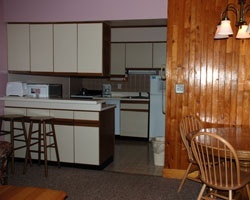 At the resort, you'll find an indoor pool, racquetball court, saunas, hot tub, and a restaurant. The Haystack and Mount Snow ski areas are within six miles. In addition to the average annual snowfall of 15 feet, snowmaking ensures plenty of snow from mid-November to early May. In summer, enjoy swimming and boating on 14-mile-long Lake Whitingham, as well as playing tennis, golfing, and horseback riding. All-seasons resort for skiers & outdoor lovers! Buyer receives complimentary closing credit; inquire for details! Enjoy any week at this beautiful year round resort! Buyer May Receive A Title Fee Credit, Inquire For Details!